On September 1, 1764, Parliament passed the Currency Act, effectively assuming control of the colonial currency system. The act prohibited the issue of any new bills and the reissue of existing currency. Parliament favored a "hard currency" system based on the pound sterling, but was not inclined to regulate the colonial bills. Rather, they simply abolished them. The colonies protested vehemently against this. They suffered a trade deficit with Great Britain to begin with and argued that the shortage of hard capital would further exacerbate the situation. 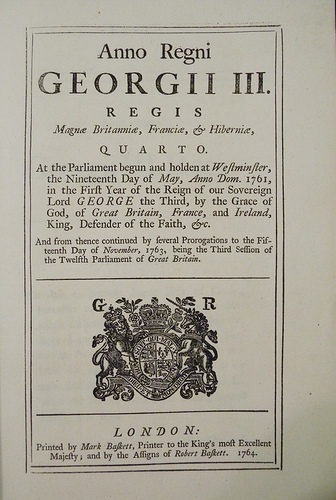 Another provision of the Currency Act established what amounted to a "superior" Vice-admiralty court, at the call of Navel [sic] commanders who wished to assure that persons suspected of smuggling or other violations of the customs laws would receive a hearing favorable to the British, and not the colonial, interests. 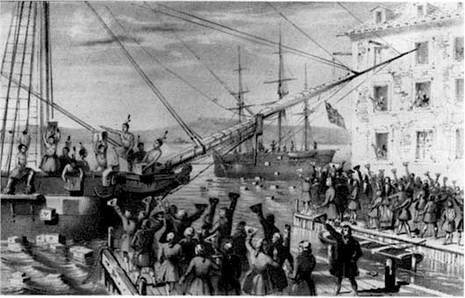 The colonies created their own money, called Colonial Scrip, before this happened. This money was government-issued fiat currency and had little or no inherent value, as Colonial Scrip was not backed by a Gold or Silver Standard. Some Colonies, such as Pennsylvania and New York, were responsible and issued only enough notes to keep trade healthy, thus keeping the notes at par with gold. Other Colonies had different systems with less discretion and had inflation issues. It has been said that the Currency Act of 1764 was the result of Benjamin Franklin's testimony to the British Board of Trade in which he explained the benefits of Colonial Scrip, which allowed the government instead of private banks to have the benefit of money creation, thus lowering the tax burden on the people. This was a complete reversal from the established British school of economics in which the Government borrowed hard money (gold and silver) from private banks at interest, and it was viciously opposed by the British banking interests for this reason. Parliament gave permission, in some cases, for colonies to issue limited amounts of paper currency. In 1770, the Province of New York was permitted to issue 120,000 pounds of paper currency.